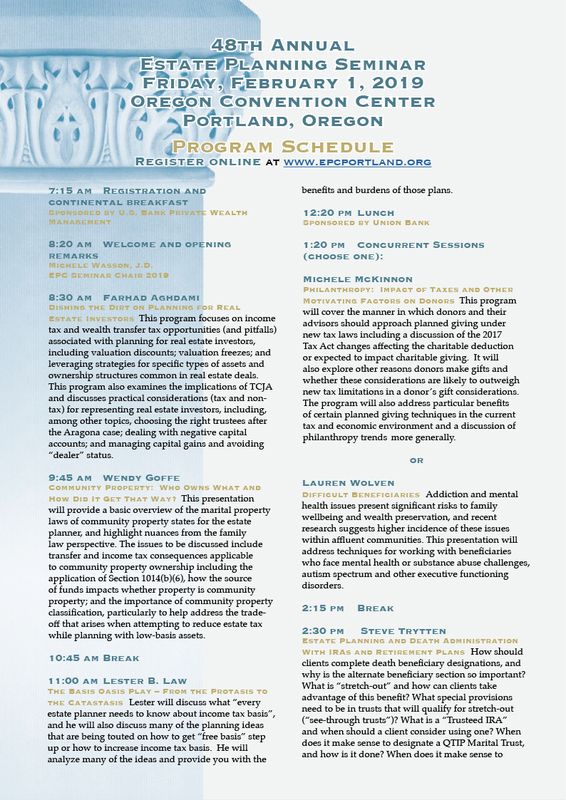 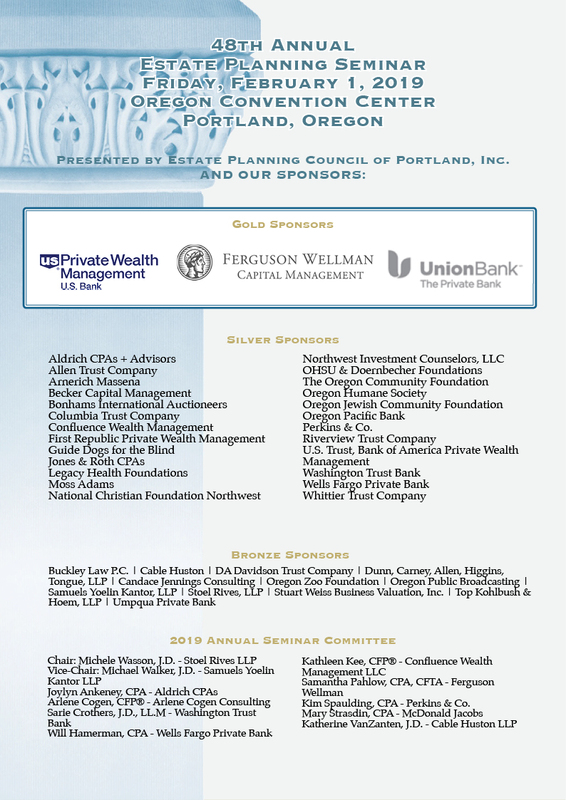 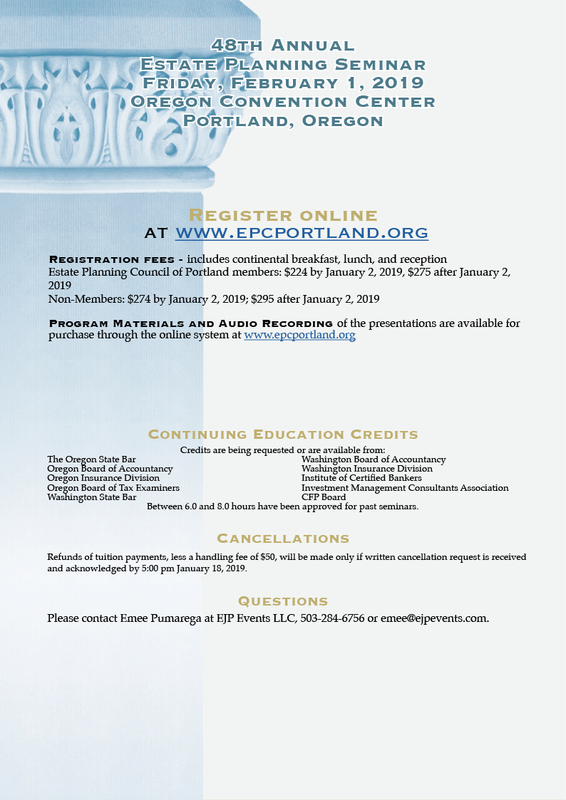 48th Annual Estate Planning Seminar - Estate Planning Council of Portland, Inc.
A block of rooms is being held at the Heathman Hotel at a conference rate of $149 plus taxes, subject to availability. 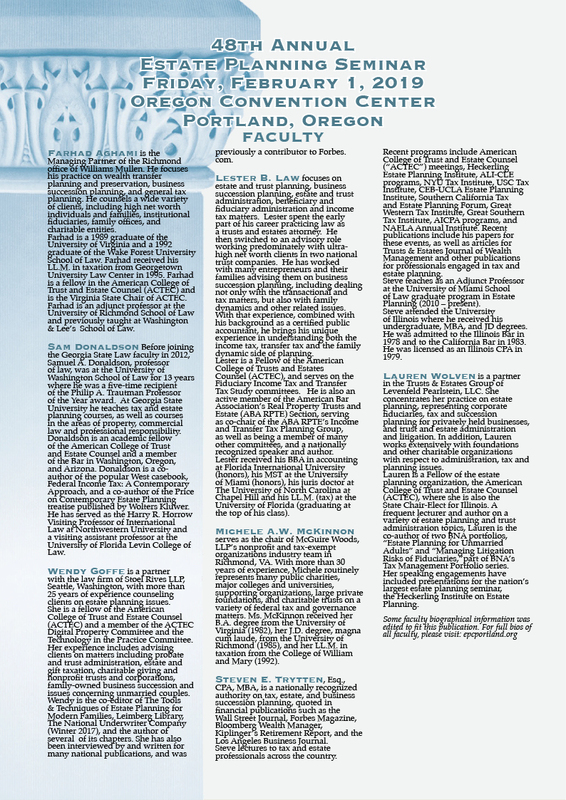 The reservation cutoff date is Friday, January 11th, 2019. 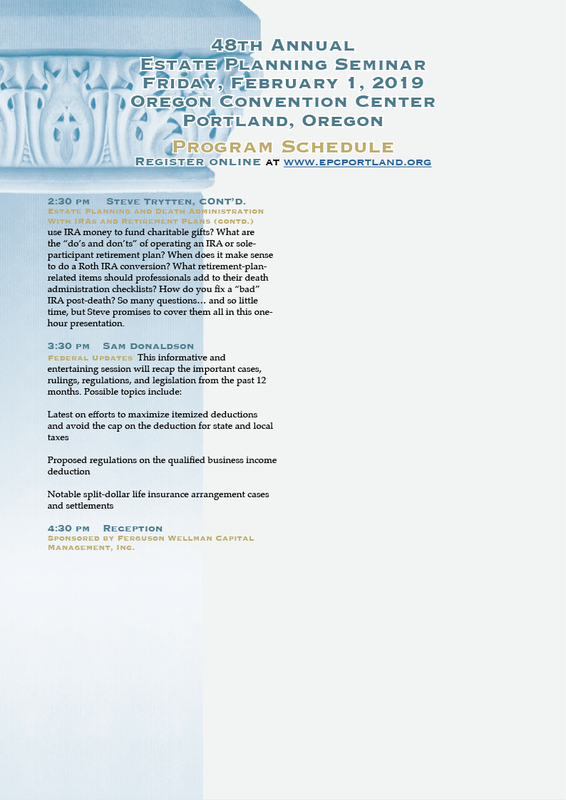 Please see below for your booking link where to book your reservations online.